Delegates from the Southwest Texas and Rio Grande Conferences will meet jointly in a special called session Feb. 8 at the Henry B. Gonzales Convention Center in San Antonio. Delegates will vote on the beginning plan of organization for the new conference. Bishop Jim Dorff has called a special joint annual conference session with both the Río Grande and Southwest Texas Conferences to vote on a beginning plan of organization for the new unified conference. The Unification Final Report is available at http://www.umcswtx.org/uit-report. 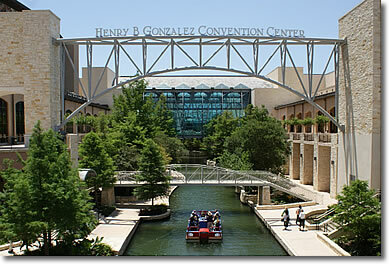 The session is scheduled for Feb. 8, 10 a.m. to 4 p.m., inside the Henry B. Gonzales Convention Center in San Antonio. This meeting will be for those of you who were annual conference delegates to the 2013 annual conference. “This is a very important meeting,” Dorff said. At the meeting, the Unification Implementation Team will present its final report on the new conference organizational plan. Delegates will meet jointly and vote separately, Dorff said. They will vote on the new conference plan, including the new name. Materials related to the organizational plan will be sent out in the next two or three weeks, Dorff said. He called an early special session because an earlier vote means conference committees have more time to make adjustments to plan budgets, consider personnel issues and look at nominating reports. “We can’t do anything until we get a basic structure approved,” Dorff said. Leaders will also determine an effective start date for unification, which is currently recommended to be Jan. 1, 2015.